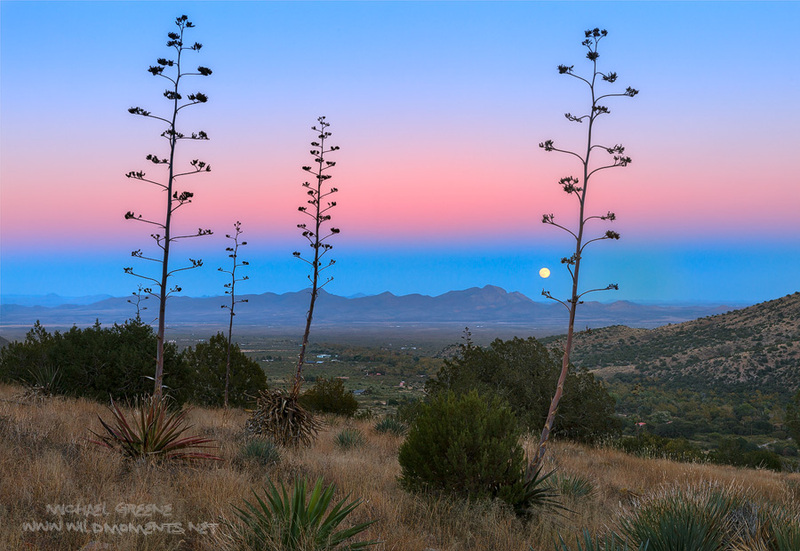 Century plants dot the horizon as a full moon rises over the Pelonchillo Mountains and the San Simon Valley in far southeastern Arizona. The Pelonchillo Mountains are some of the most remote mountains in Arizona and straddle the New Mexico border. This vantage was captured from the foothills of the Chiricahua Mountains near the small village of Portal. Photo © copyright by Michael Greene.